Heartwoods has supported several west midlands businesses. 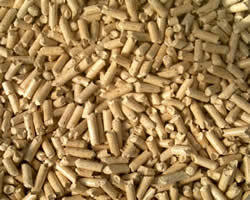 Woodfuel is a biomass resource, biomass being material that has come from living, or recently living organisms. This is generally thought of to be plant based materials, but there are also both animal and vegetable based fuels. 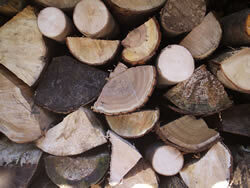 Logs are the most common form of wood fuel, and have traditionally been used in open fire places. Modern wood stoves and boilers are a much more efficient method of burning logs. 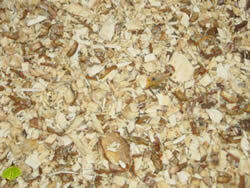 If being used in a log boiler or stove then they will need to be processed to a specific length and width. Chips are usually used for community and commercial scale heating systems, but there are some smaller wood chip boilers on the market that can be appropriate for certain domestic situations. Chips need to be of a high consistent quality, with a standard chip size and low moisture content. Fuel quality chip will normally be about 3 x 3cm, with a moisture content below 35%. Pellets are usually made from compressed sawdust and wood shavings, they have a very low moisture content (under 8%) and have a higher energy content than wood chips and logs. They are also easier to store and transport as they are denser and flow easily without jamming up. They are generally between 6-10 mm in diameter and look like animal feed.